UPDATE 2: The Dierks Outlaws lost to Woodlawn, 2-1, in their opening game in the South Regional Tournament at Woodlawn High School. UPDATE: The Lady Outlaws dropped their game 12-2 against Parkers Chapel in the South Regional Tournament at Parkers Chapel. 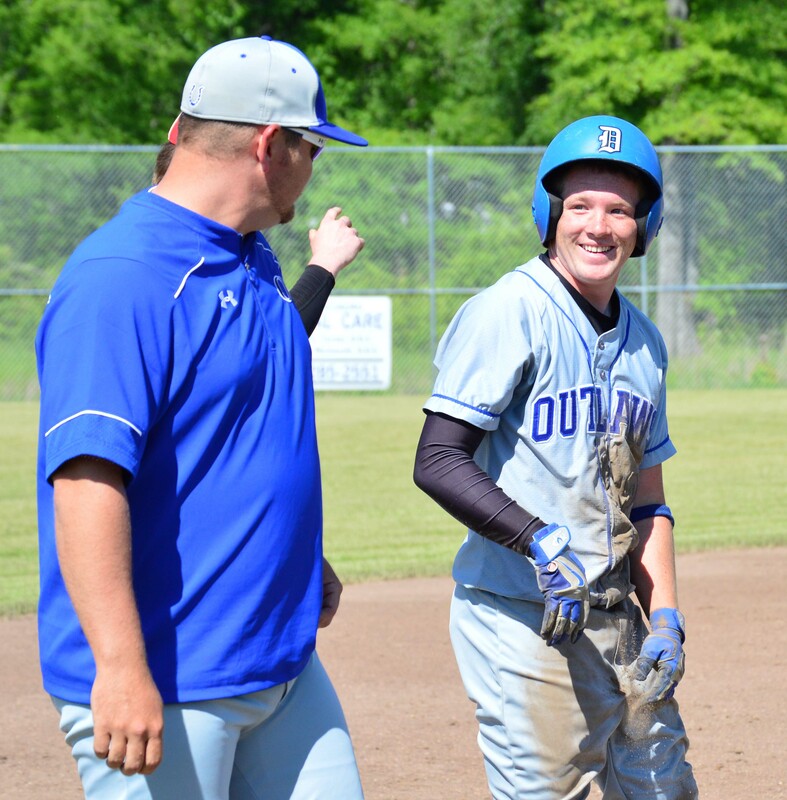 Dierks High School’s Outlaws and Lady Outlaws will enter the South Regional baseball and softball tournaments this week after finishing in the Top 4 during the 7-2A West district tournaments held last week in Murfreesboro. 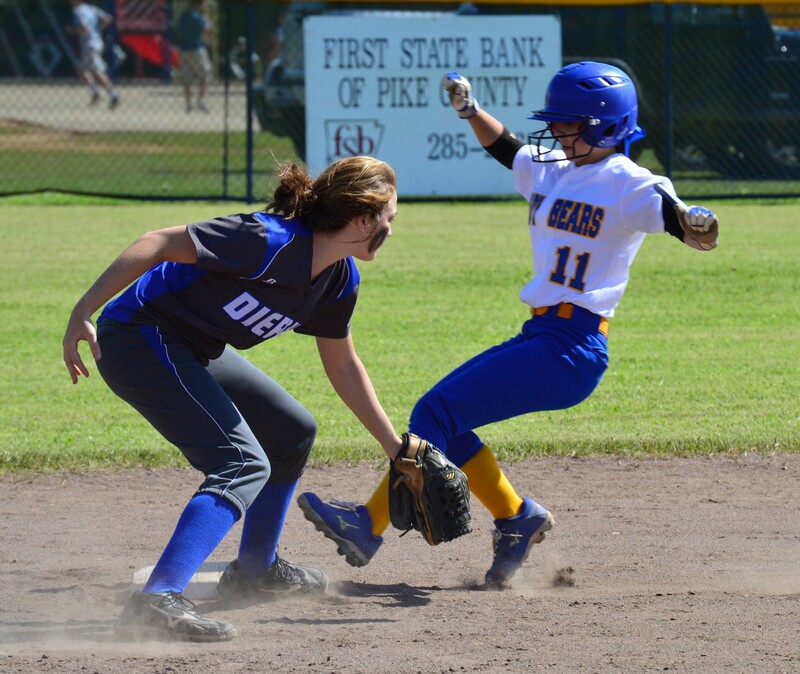 The Lady Outlaws finished fourth in the district tournament and played Friday, May 8 at 10 a.m. in Parkers Chapel against the winner of the 7-2A East. The Outlaws finished third in the tournament and played 5:30 Friday at Woodlawn High School against the second-place 7-2A East team. The Lady Outlaws earned their fourth-place finish by opening the district tournament with a 10-0 win over the Gurdon Lady Go-Devils. Dierks used 10 hits and 3 Gurdon errors to jump out to a 5-0 lead in the first inning. They added another run in the third inning and 4 in the sixth to end the game early. Melanie Kesterston went 3 of 4 at the plate with RBIs followed by Adriana Walston with 2 hits and 2 RBIs and Kyla Kompkoff with 1 hit and 2 RBIs. Also producing at the plate for Dierks were Madison Burgess, Miranda Mack, Stephanie Stuart and Alexis Simmons. Simmons worked the mound for Dierks and allowed the opponents only 1 hit. She posted 5 strikeouts and 0 walks in six innings. The Lady Outlaws had 2 errors in the field and had only two batters strike out. Gurdon committed 3 errors in the field. Against Springhill, the Dierks bats cooled with Hill collecting the team’s only 2 hits of the game. The Lady Bears, who finished second the tournament behind Foreman, chipped away at Simmons for 8 hits for the 5-0 win. The Dierks pitcher had 0 strikeouts, 4 walks and gave up 5 earned runs in six innings. SH’s pitcher Powell threw 6 strikeouts and walked 3. Both teams had 2 errors in the field. The Lady Outlaws close out district play with a 9-6 overall record. 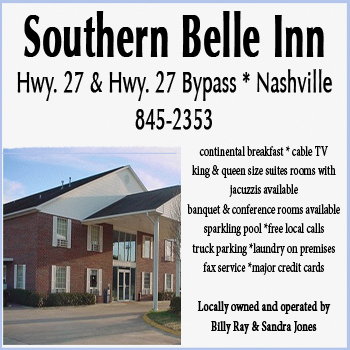 The Lady Outlaw roster includes: Alexis Simmons, Madison Burgess, Melanie Kesterson, Lillie Woodruff, Adrian Walston, Stephanie Stuart, Khylla Hill, Kyla Kompkoff, Alyssa Ward, Miranda Mack, Blair Garner, Emily Whisenhunt, Taylor Hill, Sydney Icenhower, Grace Martin, Cassidy Godfrey and Alyssa Adams. 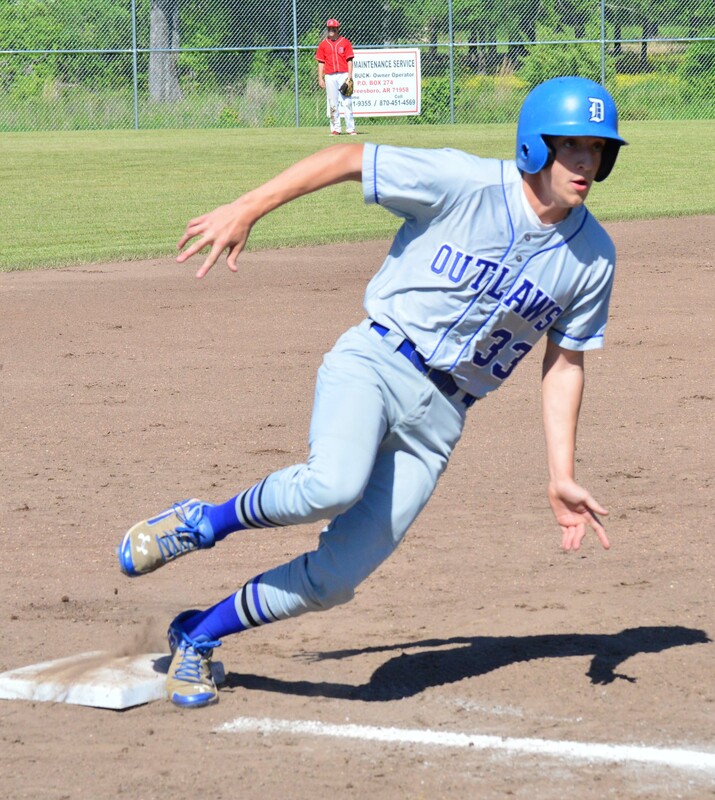 The Outlaw bats produced 9 hits against the Blevins Hornets in the district tournament and plated 8 runs in the second inning en route to the 13-0 win. Tyler Kesterston boosted the Dierks score with 3 RBIs coming off the first of his 2 homeruns hit during tournament play. Derek Hill went 2 of 3 at plate with 2 RBIs while Blayn Turner added 2 hits and 1 RBI. Also collecting RBIs were Trendin McKinney, Jarett Fox, Caleb Adams and Lane Woodruff. Caleb Dunn rounded out the 9-hit total. Woodruff held the Hornets to 2 hits in the five-inning game. He threw 5 strikeouts and 1 walk to help keep the Hornets away from home plate. McWilliams and Smith worked the mound for Blevins, allowing a total of 9 hits and combining for 5 strikeouts, 3 walks and 6 earned runs. Both teams had 1 error in the field. 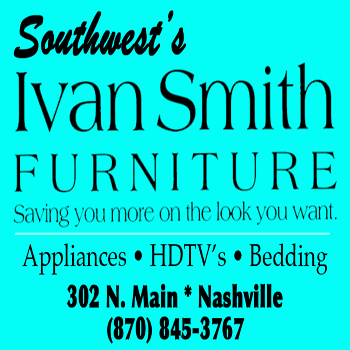 A late Outlaw run at conference rivals, the Murfreesboro Rattlers, fell short Friday night, 2-1, and Murfreesboro moved onto eventually win the district trophy. 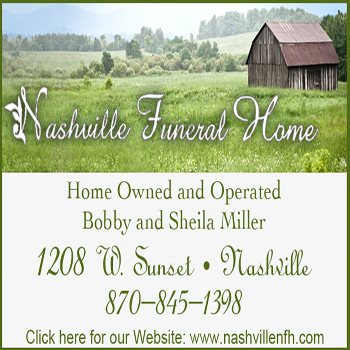 Both teams had a minimal number of hits in the tight battle, which stayed tied at 0-0 until the third inning when Murfreesboro took advantage of 2 of Dierks’ 4 errors in the game and plated a single run. Dierks fired back in the top of sixth inning when Kesterson hit his second home run of the tournament to tie the game at 1-1. The Rattlers responded in their bottom half of the inning when designated hitter Adam Bailey drove in the winning run with a single to right field. Kesterson had 2 hits on the night with Turner and McKinney each collecting 1 hit. Kesterson and Dunn shared duties on the mound, giving up 4 hits, striking out 5 and walking 2. Tyler Gilbert got the win for Murfreesboro, giving up 4 hits, striking out 16 and walking 6 in seven innings. The Outlaws turned 2 true double-plays and also doubled-up a runner on a fly ball against Murfreesboro. The Outlaws close out district play with a 13-4 overall record. The Outlaw roster includes: Caleb Dunn, Derek Hill, Jalen Key, Tyler Kesterson, Trendin McKinney, Aaron Kesterson, Lane Woodruff, Colton Strode, Jed Morrow, Peyton Frachiseur, Hunter Bolland, Jacob Sharp, Bradley Lowery, Caleb Adams, Cale Adams, Jesse Martin, Blayn Turner, Blake Bradshaw, Grant Strasner, Jarett Fox and Brayden Kirby.